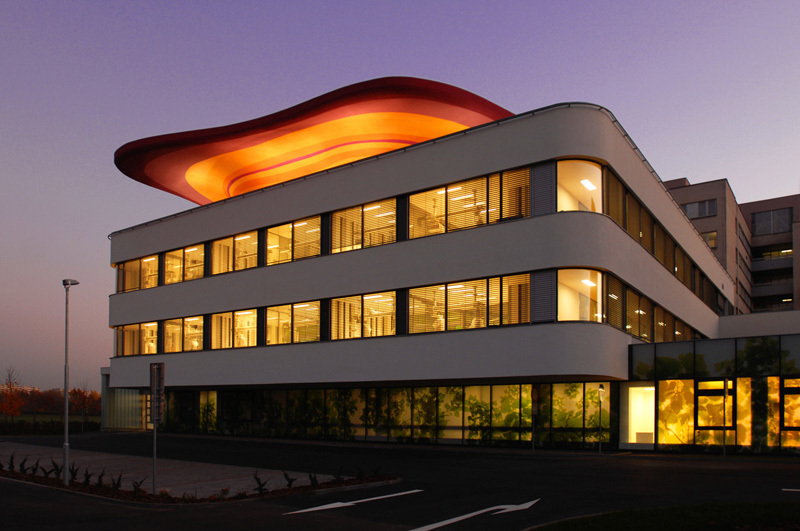 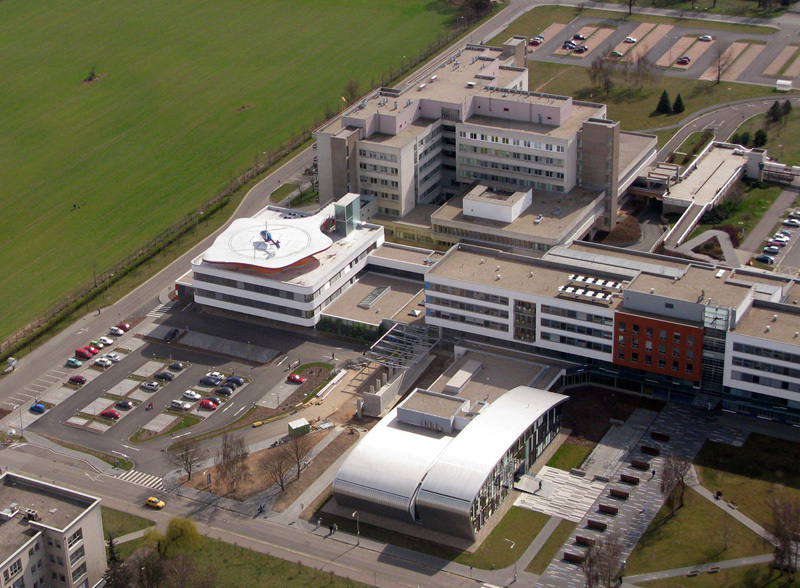 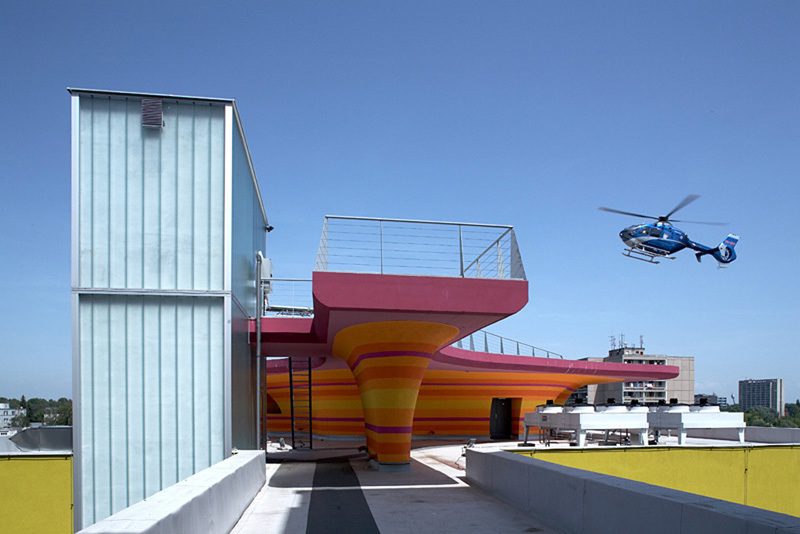 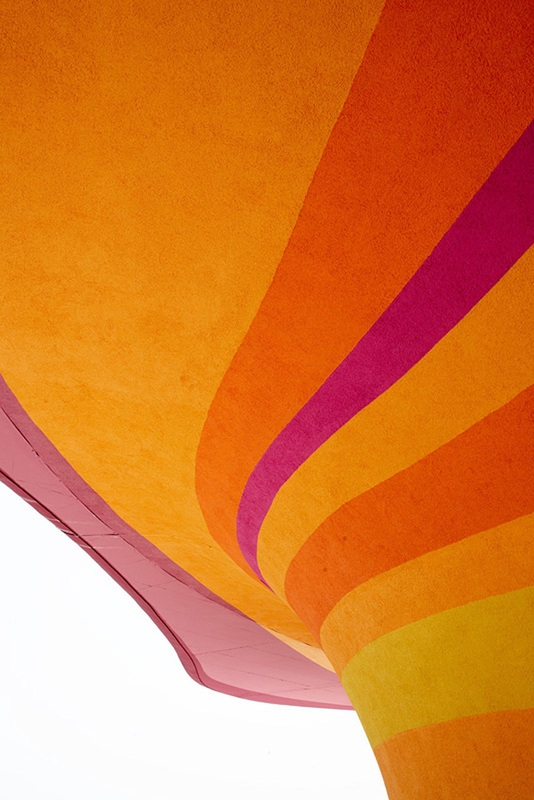 Architectural studio DOMY, designed this colorful helicopter landing pad, as part of a larger hospital building project in the Czech Republic. 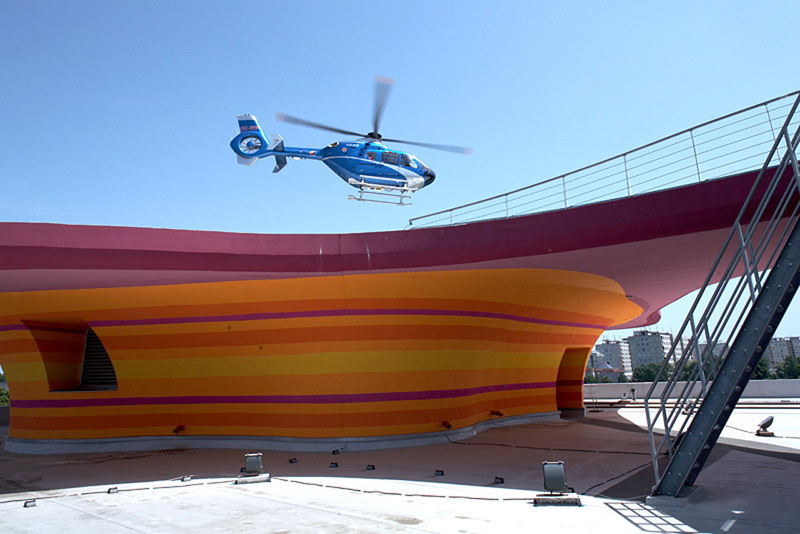 The organic shape of the helicopter pad is designed so that it’s easily recognizable for the pilots when landing. 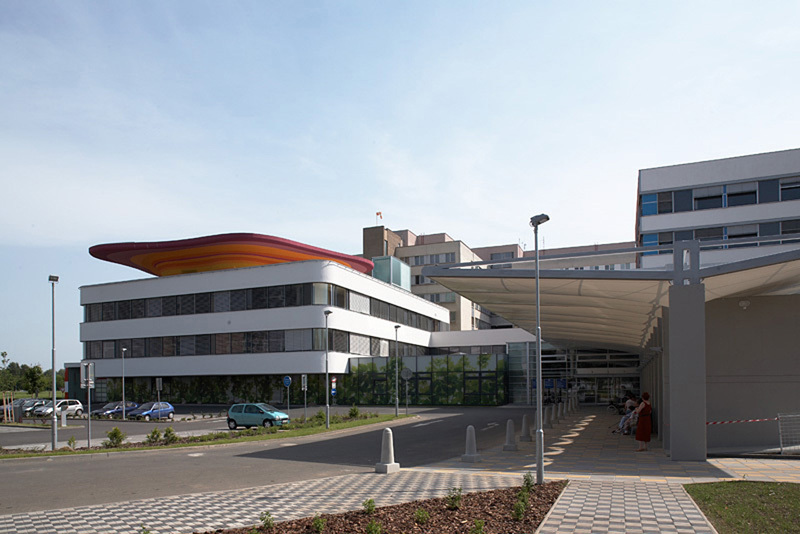 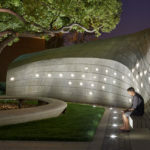 Not just an interesting shape, the design is also a dominant piece of art for the hospital, visible by visitors from the ground. 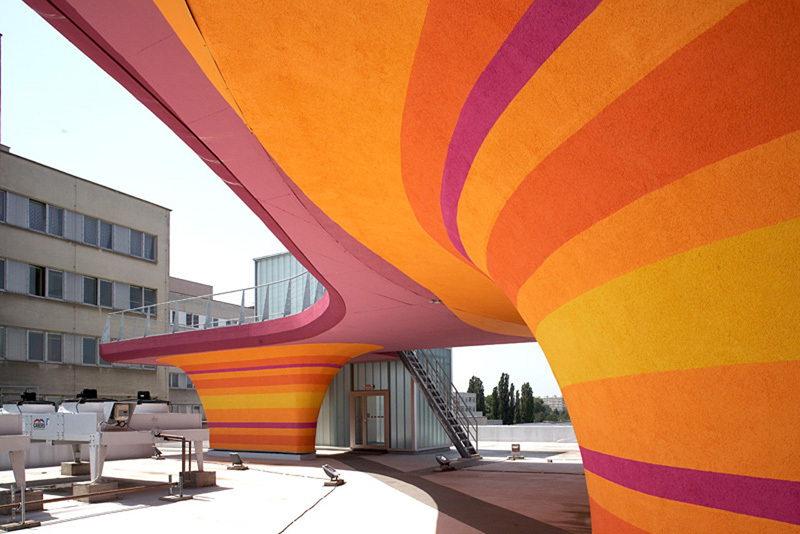 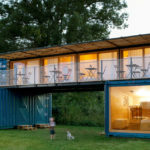 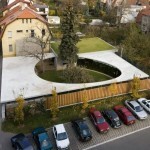 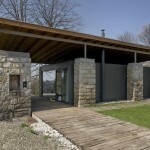 When designing the landing pad, the architects were inspired by a blossom flowering in a meadow. 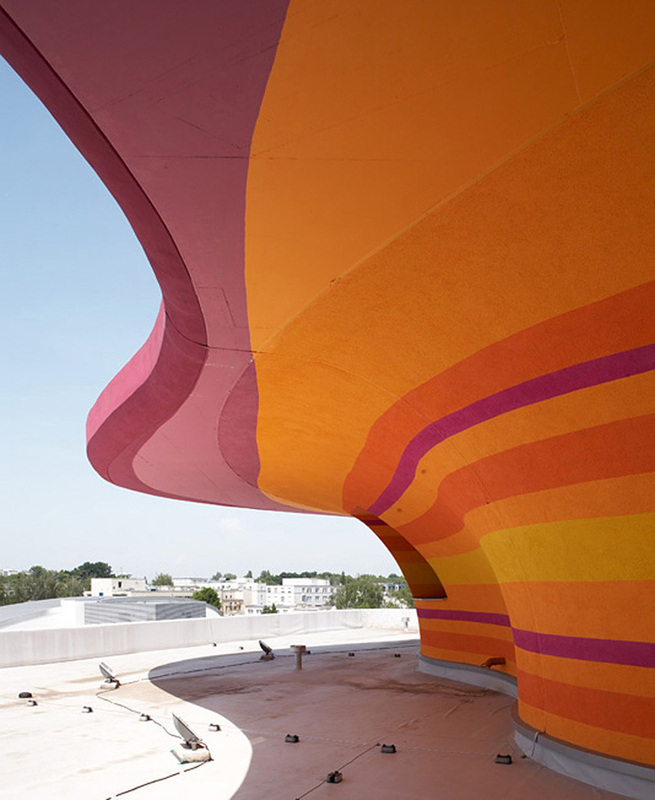 Shades of purples, yellows and oranges, have been painted underneath to provide a bright contrast to the rest of the buildings.